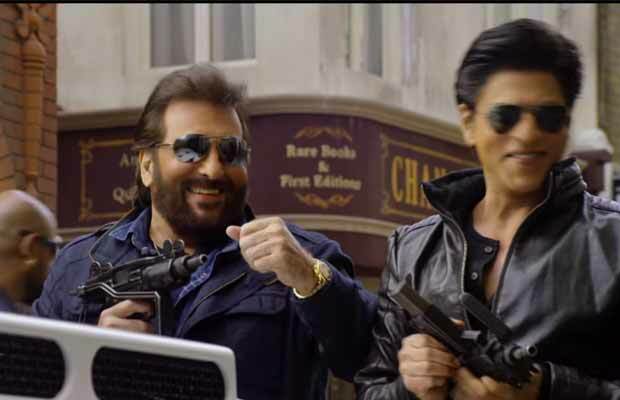 Watch: This Deleted Scene Of Vinod Khanna From Shah Rukh Khan’s Dilwale Is Heart-Wrenching! In Dilwale, Khanna ji played the role of SRK and Varun Dhawan’s father. While the film was a hit which earned around INR 372 crore worldwide and becoming the second highest-grossing film. But there’s one particular deleted scene from the movie which made a lot of buzz and it had Vinod Khanna in a swag avatar. This scene was supposedly Vinod Khanna’s introduction scene for the movie where he is seen donning a super-smart jacket and aviator. In this scene, he is along with his on-screen son, played by Shah Rukh being macho and shooting the enemies. Vinod Khanna, who was a sitting Bharatiya Janata Party member of the Lok Sabha from the Gurdaspur constituency in Punjab, was hospitalised in April first week due to severe dehydration but was later said to be stable and responding positively to treatment. It is indeed a huge loss to the film fraternity. Here’s sending prayers and strength to the family. Previous articleSushant Singh Rajput Reacts Over Him Abusing His Fans And Guard Getting Beaten Up! Next articleBox Office: Prabhas Starrer Baahubali 2 First Day Historic Opening!